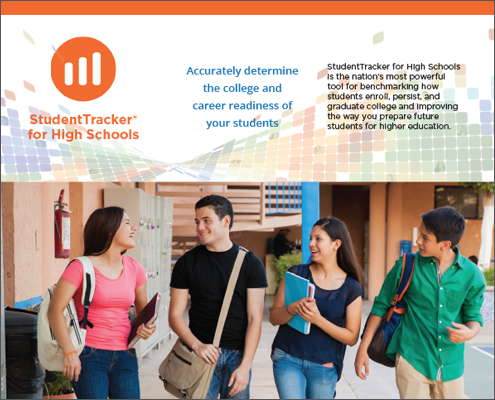 StudentTracker® for High Schools is a unique program designed to help high schools more accurately gauge the college success of their graduates. Your data are matched against the Clearinghouse’s nationwide coverage of enrollment and degree. Our simple set-up process and easy-to-use interface, along with your personal client coordinator, who will assist you every step of the way, allows you to start using StudentTracker almost immediately.